previously my virtual hard drive size was 25 GB and i just extended the same to 50 GB. Upon that login to your virtual machine and then right click “My Computer” and select “Manager”. Then “Disk Management”. You will see some new spaces added after the C or whatever the corresponding drive. 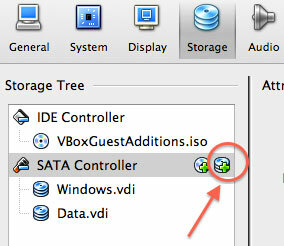 Then right click the corresponding drive and select “Extend Volume”. Follow the wizard and its done. upong configuring the apps successfully the administrator of the SharePoint site can be able to navigate to SharePoint online store and can add the same to the site even. Even though when accessing the added SharePoint app it doesn’t display the app instead its getting crashed. As the two applications (SharePoint site and the apps site) are not running under same domain, seems the IIS having problem with redirecting to the other application (SharePoint apps).